If you were hoping sports could serve as a respite from politics, you're out of luck. 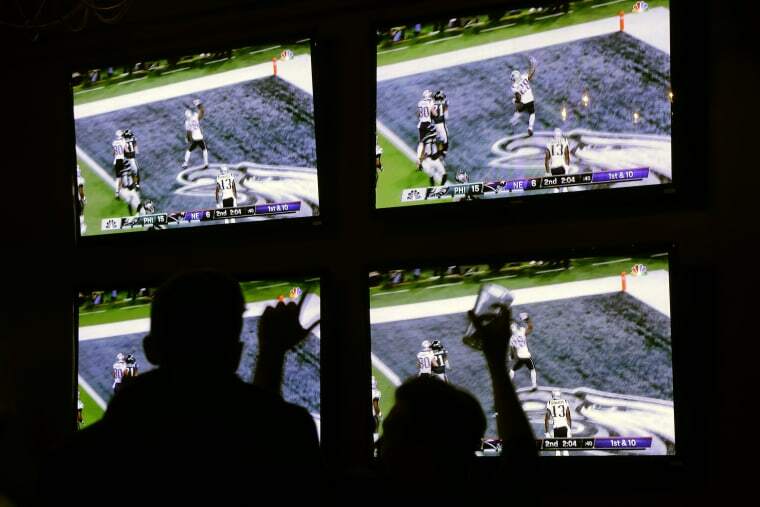 WASHINGTON — Sports fans used to constant advertisements hocking beer and male enhancement drugs are beginning to see a new product flooding the airwaves — politics. Sporting events are increasingly becoming a top target for campaigns, meaning the days of fans looking to their favorite teams for sanctuary are fading. That's because live sports means live viewers. And with so many campaigns battling for local airtime, campaigns are realizing they can sometimes secure cheaper rates for nationally televised games featuring the home team. "People just consume video differently they used to. You watch your favorite shows on Netflix or Hulu or you DVR, them. So these massive sporting events are now kind of that rare moment where the whole area actually is parked in front of the TV, watching live — a captive audience." said Democratic strategist Jesse Lehrich, a former media buyer. Republican and Democratic media buyers and experts tell NBC News that there are two main reasons why sports fans will continue to see a spike in political ads during games — maximizing exposure and cost. Campaigns have been targeting sporting events for years, especially since the period just before Election Day coincides with the baseball playoff run, as well as the start of both college and professional football and professional basketball. But the tactic has become more popular as viewing habits shift toward streaming and away from traditional television because sporting events are one of the few types of programming where viewers are more likely to watch live. "The ability to get your message through to anyone — voters, consumers or anything like that — has become far more difficult as the media landscape fractures," said Casey Phillips, a Republican media consultant and former college football player. "Live sports has always been a great place to target people because they are passionate. They are waiting through the commercial break to see what happens on the other side." An increasing number of campaigns,including those for California Democratic congressional hopeful Katie Porter, Ohio Democratic Sen. Sherrod Brown, Georgia GOP gubernatorial candidate Brian Kemp and Florida Republican Gov. Rick Scott have all booked time on regional sports networks during September baseball games as teams battled for playoff spots, according to a recent competitive report provided to NBC News by a media buying source. The same report shows others are buying time during college football games on the Big Ten Network, the PAC-12 Network and the SEC Network — eyeing viewers in key states like Arizona, Ohio, Iowa and Tennessee. Campaigns aren't just advertising during games, but for those who do, live sports provides a way to avoid rising local advertising costs too. There's already plenty of competition for ad time at the local level thanks to an overwhelming number of competitive races driving up the cost of local advertising slots in states like Florida and Nevada. So when a national network televises a big game featuring teams from a campaign's home state, it can be cost-effective for them to run ads nationally during the game, instead of competing for costly local spots during the same broadcast. That's exactly what Rick Scott's campaign did last month when it bought an ad during ESPN's national broadcast of a University of Miami football game. The Scott campaign told NBC News that it actually saved money by purchasing a national spot on ESPN's broadcast instead of a state-wide buy. So for a cheaper price, the campaign beamed its ad into the homes of everyone watching the game, in Florida and across the country. Many other campaigns have made the same calculation. Michigan Republican Rep. Mike Bishop and Michigan Republican gubernatorial nominee Bill Schuette both ran ads during Saturday's college football game between Michigan State University and Northwestern University. And on Sunday, Georgia Democratic gubernatorial hopeful Stacey Abrams booked a national spot during the Atlanta Braves's playoff game against the Los Angeles Dodgers on Fox Sports 1. Not all candidates want their messages to reach a national audience. But to those who do, there are clear benefits. If the national spot is cheaper and hits the same in-state audience, then a campaign both saving money and still expanding its reach. Ultimately, the dynamics don't appear to be shifting any time soon, making sports a continually reliable home for campaign ads. And the strategy might become more popular in the coming weeks, with the college football schedule and Major League Baseball pulling in major audiences in key battleground states. "It goes back to campaign fundamentals; part of my job is to create the best content I can, but the other part of the job is get in front of the most targeted eyeballs I can in the most cost-effective way," Phillips, the GOP media consultant, said. "People are more emotionally invested in sports over the long-term than they are in a scripted series that may last two or three years. There are 100 seasons of history in the Green Bay Packers."